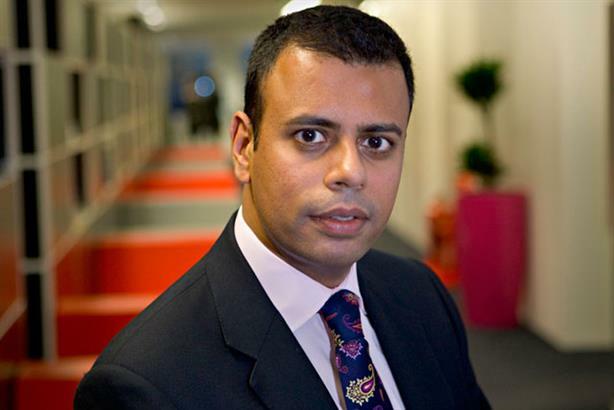 Sacha Deshmukh is to step down as chief executive of MHP to be replaced by chief operating officer Gavin Devine. Devine will take control of the Engine-owned agency on 1 May, while Deshmukh will continue to work alongside Devine to support a smooth transition before leaving in the autumn. Deshmukh joined Engine at its creation in 2005, leading public affairs company AS Biss & Co into the newly formed group. Since then he led the development of the corporate communications businesses in Engine, culminating in the creation of the MHP Communications business through the merger of the Mandate, Hogarth and Penrose businesses in October 2010. Devine worked alongside Deshmukh as deputy MD of AS Biss. Following AS Biss’ merger with Republic PR to form Mandate Communications, Devine became joint MD of Mandate and later COO. MHP saw organic fee income growth of 6 per cent in 2011 and now has annual revenues of £18m and 150 staff. Announcing the move, Peter Scott, chairman of Engine, said: ‘MHP is now a leading corporate communications and PR business and one of the most important parts of the Engine family. As we enter a phase of further accelerated growth for MHP I am delighted that we have a chief executive with Gavin’s capabilities, drive and enthusiasm in place.